ManWinWin Software has launched a brand-new module – ManWinWin WEB – and strengthens its top-performing market positioning with total mobility in maintenance management. ManWinWin WEB is a 100% WEB-developed platform used to access, view and record specific and relevant information in CMMS ManWinWin. ManWinWin WEB has a dynamic, responsive interface, therefore can be accessed through any mobile device with an internet connection, including the user’s own device. 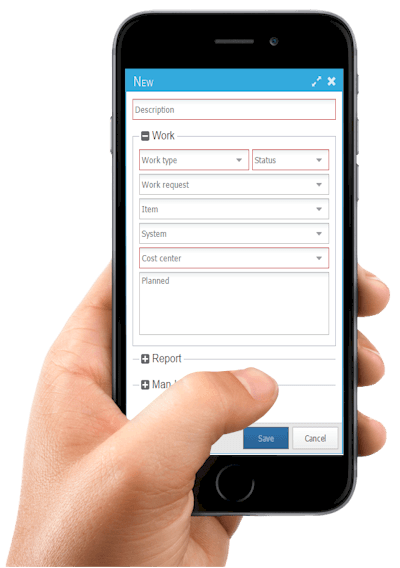 Maintenance managers, maintenance technicians, clients and suppliers have now an easy-to-use online interface to access CMMS ManWinWin, allowing the management of the entire maintenance process completely paperless. A real-time Maintenance Dashboard, access to the complete Equipment list, work order reporting and validation and materials stock outs are among the main features of ManWinWin WEB, which is already implemented in many ManWinWin users.